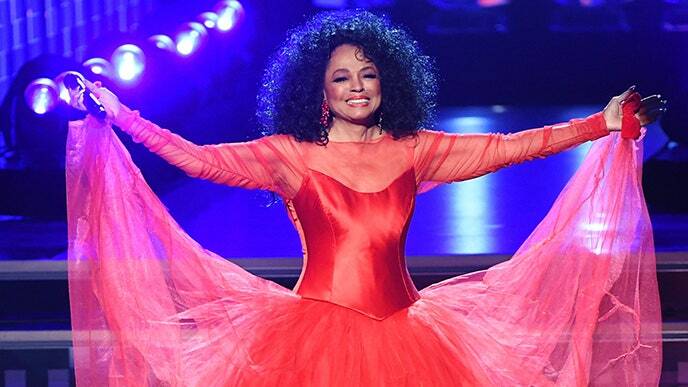 Diana Ross was honored tonight at the 61st Grammy Awards for “the rich history of her greatest musical accomplishments.” The icon also took to the stage to perform her classic songs “The Best Years of My Life” and “Reach Out and Touch (Somebody’s Hand).” Her grandson introduced the performance. Watch all of that below. The 2019 Grammy Awards will also feature performances by Cardi B, Janelle Monáe, Brandi Carlile, Kacey Musgraves, Post Malone and the Red Hot Chili Peppers, Shawn Mendes, and more.